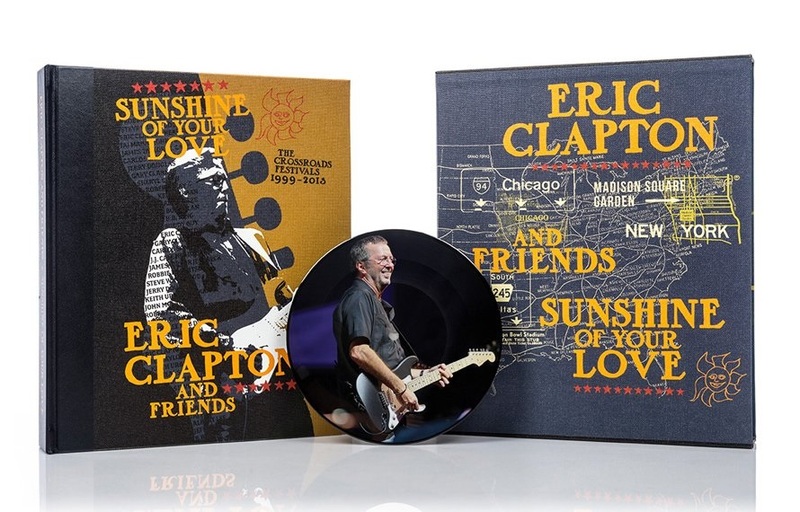 Telling this story through a wealth of stunning photography and original commentary from world-renowned musicians, Sunshine of Your Love is limited to only 2,000 copies worldwide, each signed by at least two Crossroads performers. Handcrafted in Milan, Italy, the 1,650 collector copies are quarter bound in leather with foil blocking and silver page edging. Each book is individually signed by at least two Crossroads musicians, including Eric Clapton, Gary Clark Jr., Sheryl Crow, Andy Fairweather Low, Sonny Landreth, Taj Mahal, John McLaughlin, Robbie Robertson, David Sanborn, Carlos Santana, and Joe Walsh. We will be announcing further signatories soon. Signed by: At least two Crossroads musicians. Signatories include Eric Clapton, Gary Clark Jr., Sheryl Crow, Andy Fairweather Low, Sonny Landreth, Taj Mahal, John McLaughlin, Robbie Robertson, David Sanborn, Carlos Santana, and Joe Walsh.